Specialized Training Services - Marc Ackerman, Ph.D.
Marc J. Ackerman, Ph.D., has written or co-authored dozens of books, chapters and articles in the area of child custody, divorce and forensic psychology. His most recent publications include: A Clinician's Guide to Child Custody Evaluations, 3rd Edition (2006), Does Wednesday Means Mom's House or Dad's, 2nd Edition (2009), Essentials of Forensic Psychological Assessment, 2nd Edition (2010), Psychological Experts in Divorce Actions, 5th Edition (In preparation, 2011). 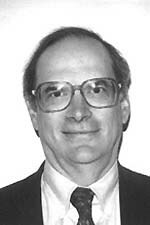 He also co-authored the Ackerman-Schoendorf Scales for Parent Evaluation of Custody (ASPECT). Dr. Ackerman has given dozens of seminars and workshops to various bar and psychological associations throughout the world and is noted for his organized, fast moving and entertaining presentation style. He is the Chair of the Forensic Psychology program at the Wisconsin School of Professional Psychology where he is a full professor and former Dean. He is a member of the National Register of Health Service Providers in Psychology, holds a Certificate of Professional Qualification (CPQ), and is a member of the American Academy of Matrimonial Lawyers (AAML) standards committee. He is president of the Wisconsin Psychology Foundation, past president of the Wisconsin Psychological Association and former chair of its ethics committee. Programs Featuring Marc Ackerman, Ph.D. There are numerous considerations which go into child custody evaluations. A poorly conducted custody evaluation can have a damaging and long lasting effect on the child. A successful evaluation promotes the best interests of the child, but arriving at that point can be difficult. In many divorces, emotions run high, and the clinician may have to consider volatile issues such as domestic violence, parental alienation and/or allegations of sexual abuse. To arrive at the best possible outcome requires that the evaluator understand these and many other important dynamics and legal guidelines. Those who provide evaluations, whether from mental health, mediation or family/conciliation courts must have the requisite training to do them in a professional and competent manner. This three day seminar provides focused training designed to give evaluators the knowledge and skills necessary to successfully conduct child custody evaluations. In addition to continuing education in one's respective discipline, this program offers 20 hours of training which meets the California Rules of Court, Rule 5.225, regarding the education, experience and training standards for court appointed child custody investigators and evaluators. The presentation is intended for both experienced and new evaluators. There are numerous considerations which go into child custody evaluations. A poorly conducted custody evaluation can have a damaging and long lasting effect on the child. A successful evaluation promotes the best interests of the child, but arriving at that point can be difficult. In many divorces, emotions run high, and the clinician may have to consider volatile issues such as domestic violence, parental alienation and/or allegations of sexual abuse. To arrive at the best possible outcome requires that the evaluator understand these and many other important dynamics and legal guidelines. Those who provide evaluations, whether from mental health, mediation or family/conciliation courts must have the requisite training to do them in a professional and competent manner. This two-day seminar provides focused training designed to give evaluators the knowledge and skills necessary to successfully conduct child custody evaluations. In addition to continuing education in one's respective discipline, this program offers 14 hours of training which meets the California Rules of Court, Rule 5.225, regarding the education, experience and training standards for court appointed child custody investigators and evaluators. The presentation is intended for both experienced and new evaluators.